ALLEGRA BOVERMAN/Staff photo. Gloucester Daily Times. Gloucester: During rehearsal of "Holiday Delights," a holiday celebration of stories, songs and dance by the Gloucester Stage Youth Acting Workshops. 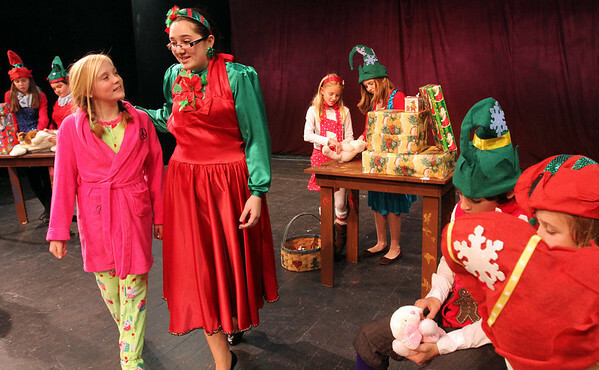 From left are Lily Armstrong, as Lily, and Jessica Ingaharro as Mrs. Claus, walking in the elves workshop.